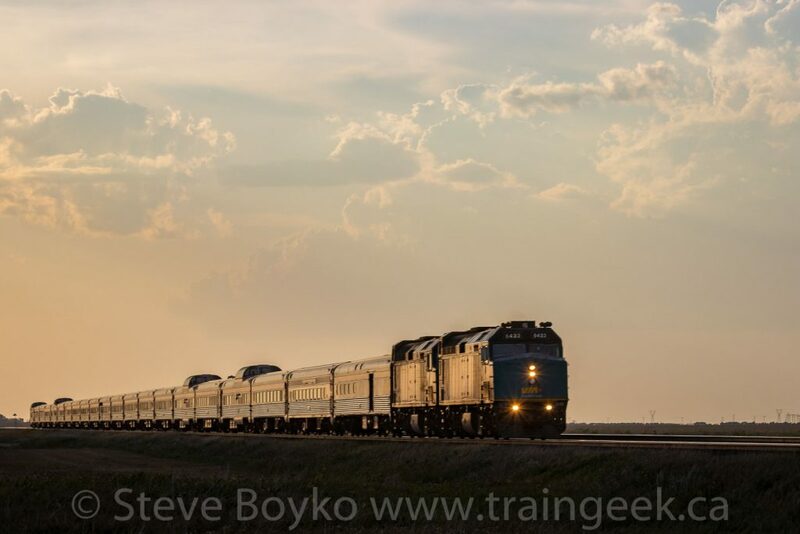 On August 30, 2018 I went out in the evening to catch the eastbound VIA Rail “Canadian” coming into Winnipeg. It was a beautiful evening, and I was hoping to get a nice sunset. 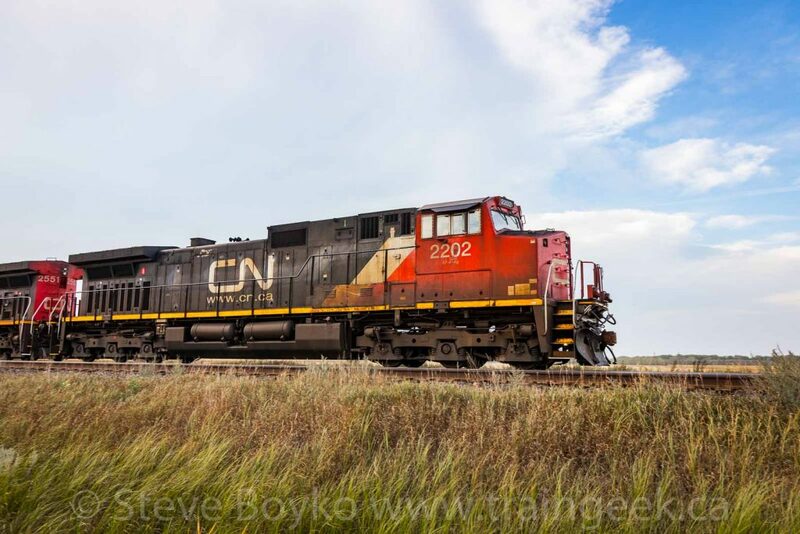 I hit the road a little early and caught my first train, CN 2962 East, stopped at Hall Road… around mile 11. 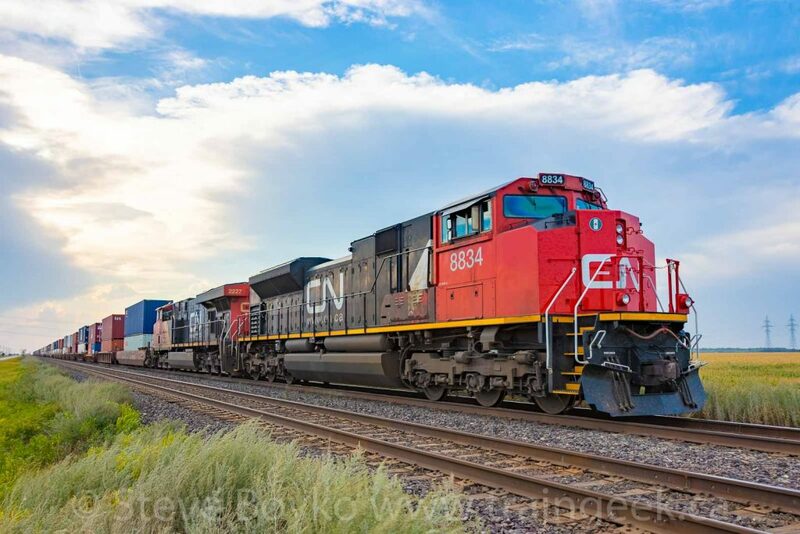 The next train I found was CN 8834 East, stopped near mile 15. 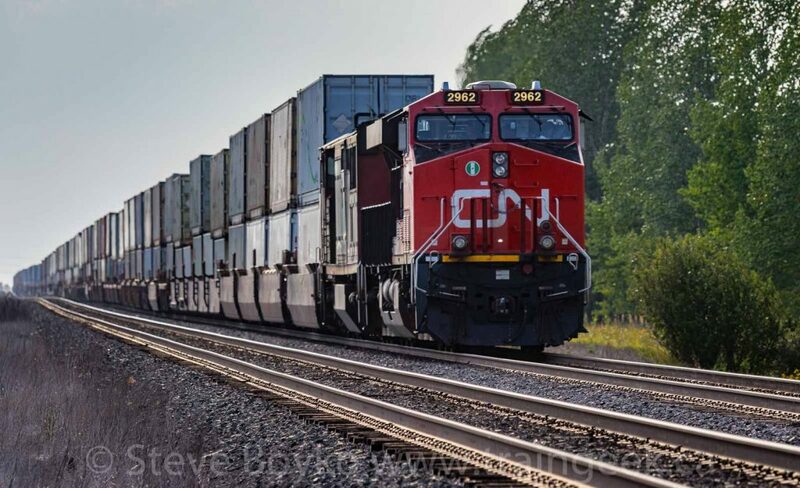 The third train I encountered was CN 2202 East, stopped at mile 18. It basically was just coming to a stop. There was a storm on the way. Look at the photo above – grey, cloudy sky. The photo below, taken 10 seconds later – some blue. I thought this tank car looked interesting, since it has no valving at the top. It has a “1951” placard, which is refrigerated liquid argon. This cloud made me a bit nervous. Fortunately, there was no problem with the weather other than some brisk winds. I decided on a new location, around mile 22 or so of the Rivers sub. I had never been past mile 20.5 in this area. There was a small private crossing that seemed perfect to wait for the train. 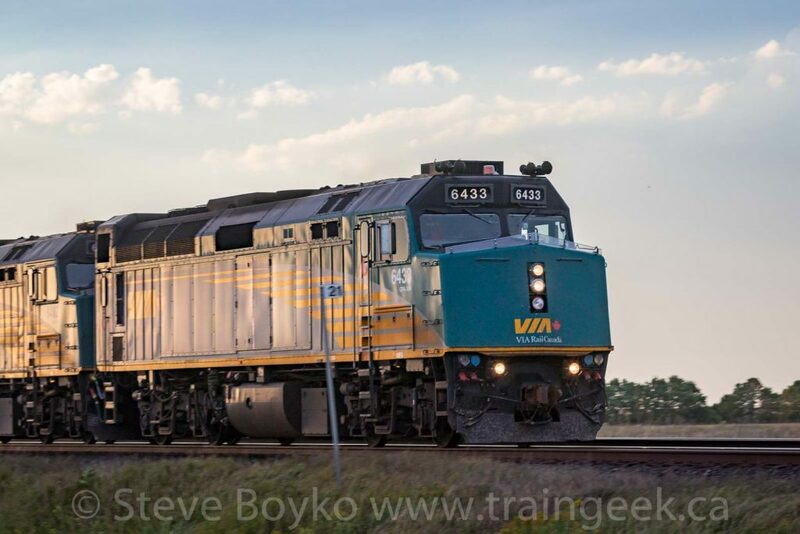 VIA 2 came rolling along at 7:20 PM – about an hour late. They were really moving! I thought I’d try a pan shot as it went by, but that… didn’t go well. The “going away” shot was better but not as sharp as I would have liked. Here’s the video for the train – short and sweet. After they passed, I threw my gear in the car and headed east. I wasn’t exactly chasing VIA, but I made an effort, since I had to go that way anyway. As I drove east, I saw that VIA 2 wasn’t going very fast. 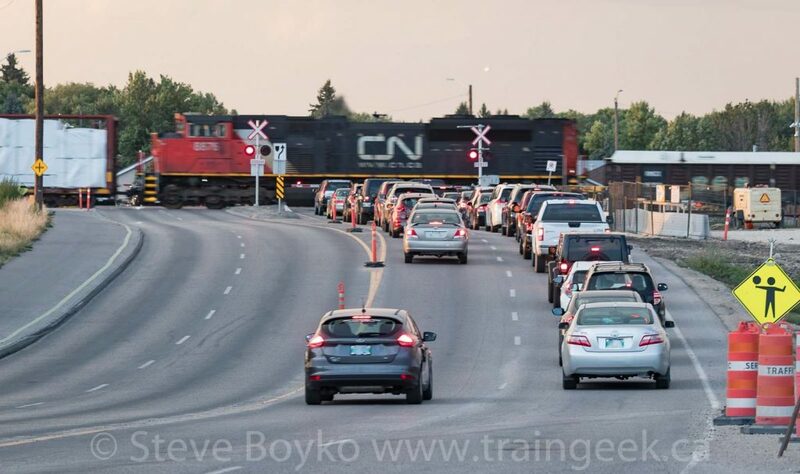 I had some good green lights and I was able to get to St. James Junction ahead of the train. You can see that the light was getting low, and of course I was shooting toward the sun. I did my best! 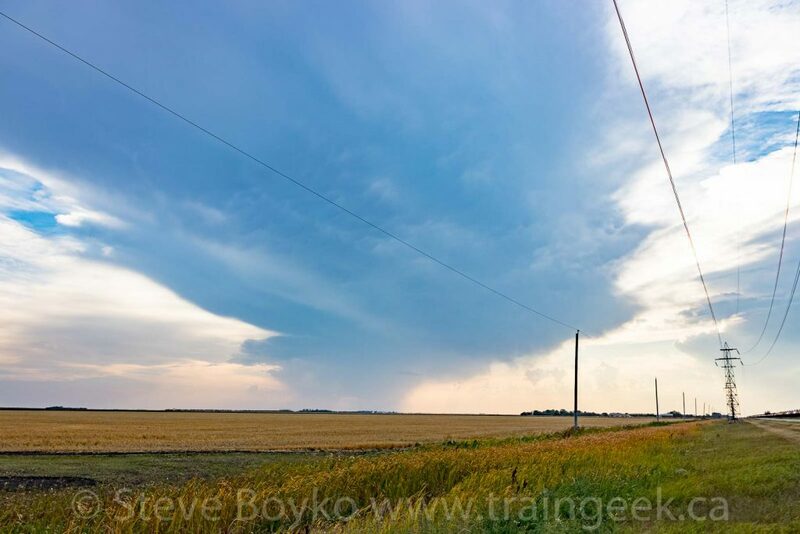 I did manage to get my video camera set up – here’s the video. After VIA passed, I decided to head over to the Waverley Street crossing to see how the overpass construction was going. You can read about the project here. It’s basically digging an underpass under the CN Rivers subdivision to remove the level crossing. It was budgeted to cost a ridiculous $155 million, but things went well so far and it is now forecast to cost “only” $121 million. I still think there are so many better things to spend that much money on, but nobody asked me! 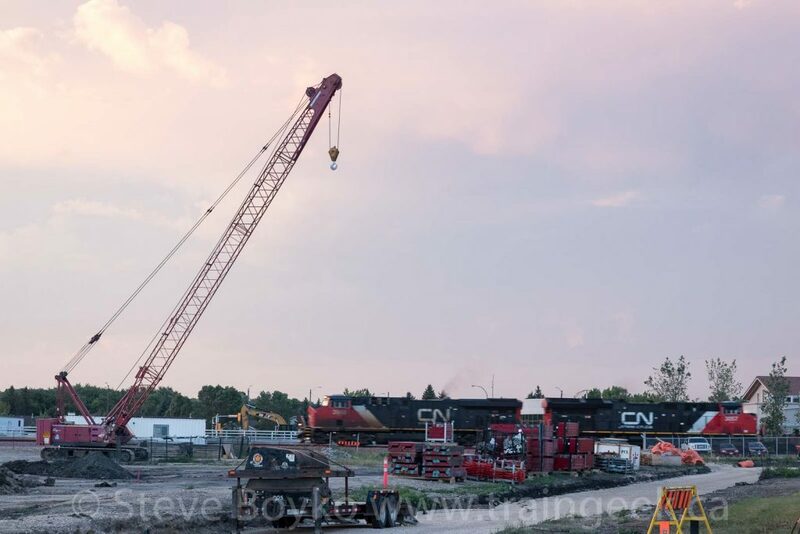 A shoo-fly diversion was put in to divert rail traffic while a new rail bridge was put in. That is done and the trains are now running over the new bridge. There’s still lots of road work to be done and the underpass is a long way from being completed. As I parked, I heard a train coming by. 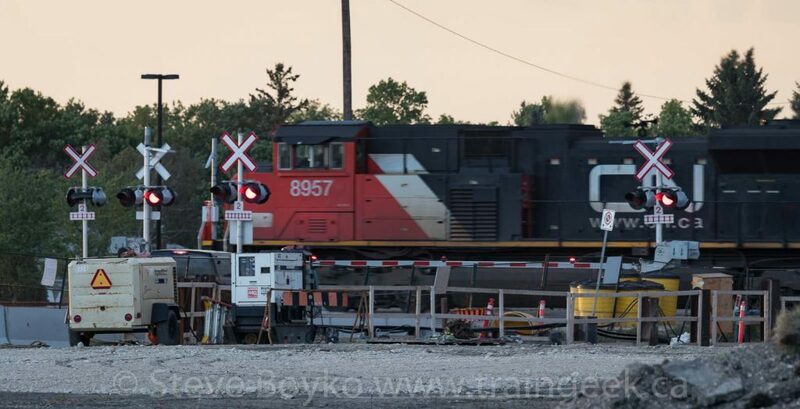 I shot CN 8957 going through the construction mess. 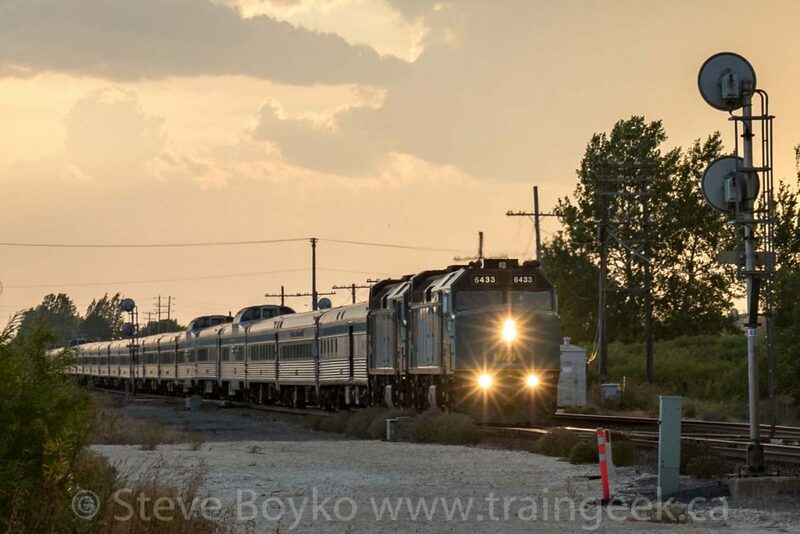 I ran over to take more photos as the westbound train continued by. 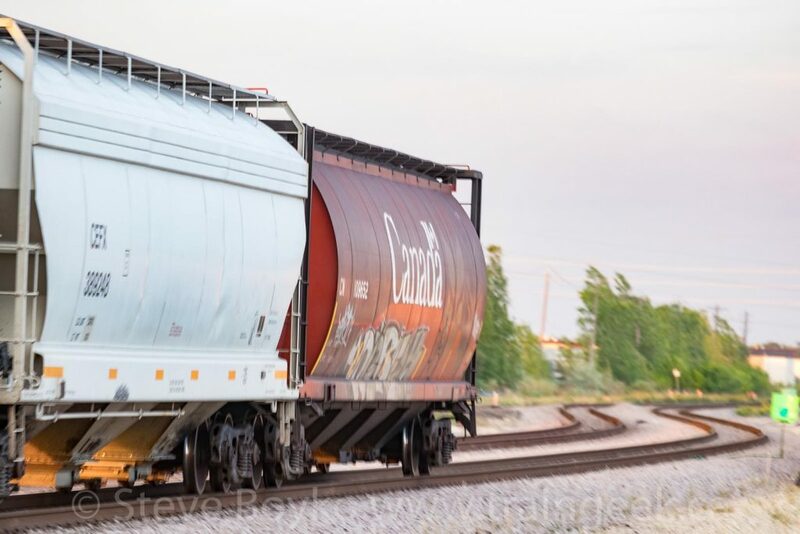 In the photo below, you can see the shoo-fly diversion behind the last grain car. After the train passed, I took a few photos to document the area, then headed back to my car. Another train came rolling by so I snapped a few photos from a distance. 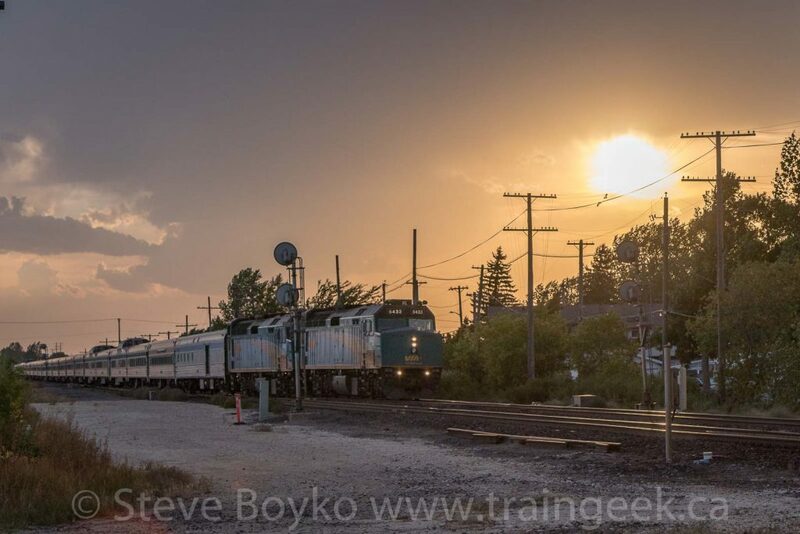 It was a successful and fun evening of railfanning! Early in the morning of February 4th, CP train 301 derailed near Field, British Columbia between the Spiral Tunnels. 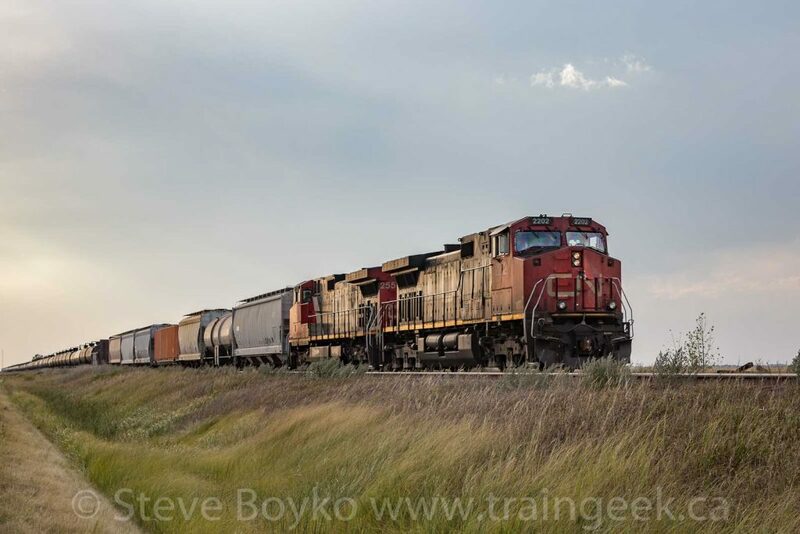 The three crew members on board (engineer Andrew Dockrell, conductor Dylan Paradis, and trainee Daniel Waldenberger-Bulmer) all died when the majority of the train derailed, and the lead locomotive plunged off a bridge more than 60 metres into the Kicking Horse River. There’s a GoFundMe page set up to raise funds to support their families. Please consider contributing. I’ve already got myself some video on the new overpass, and hopefully I can get some more in the near future. Just spent a lovely half hour or more (probably more! ), watching your Canafian videos. Great stuff!. 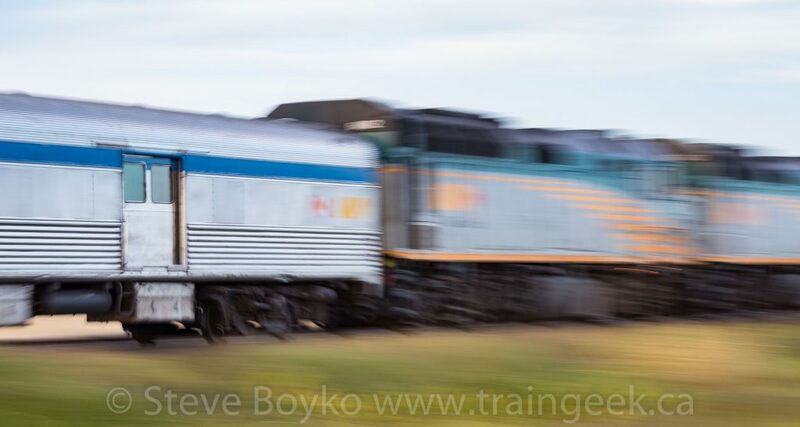 I have been lucky enough to have ridden the Canadian three or four times and one cadet troop tria from Toronto to Banff in 1959 on the CPR around Lake Soperior. Hi Jim, thanks for commenting and for watching my videos! I’m glad you had the opportunity to ride the Canadian on its original route.. and original colours, I guess!